So, after eight weeks of traveling, we made it back safely home. 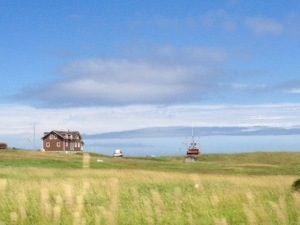 We went from Quebec City to Souris, Prince Edward Island. 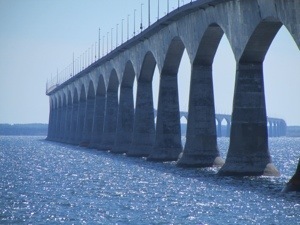 The boat is on land now for the winter and waiting for next summer when we will tour Nova Scotia. We had lots of fun and learned a lot about ocean sailing. 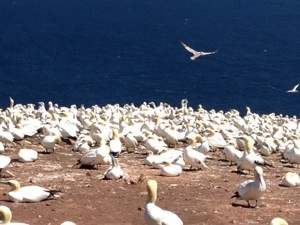 Seeing whales, seals and dolphins was very exciting and visiting all the small towns, harbors and villages was very interesting. 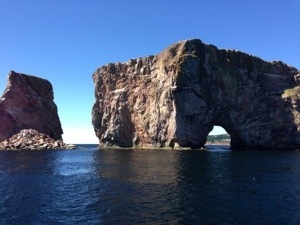 If you ever get a chance to see the Gaspé, les Îles de la Madelaine and Prince Edward Island, you won’t be disappointed! Here are my favourite pictures of the trip. After many, many years and three boats, we are finally leaving Killbear Marina. Our boat, the Split Crow, is being launched by Will and Ed Reichenbacher for the last time this morning. 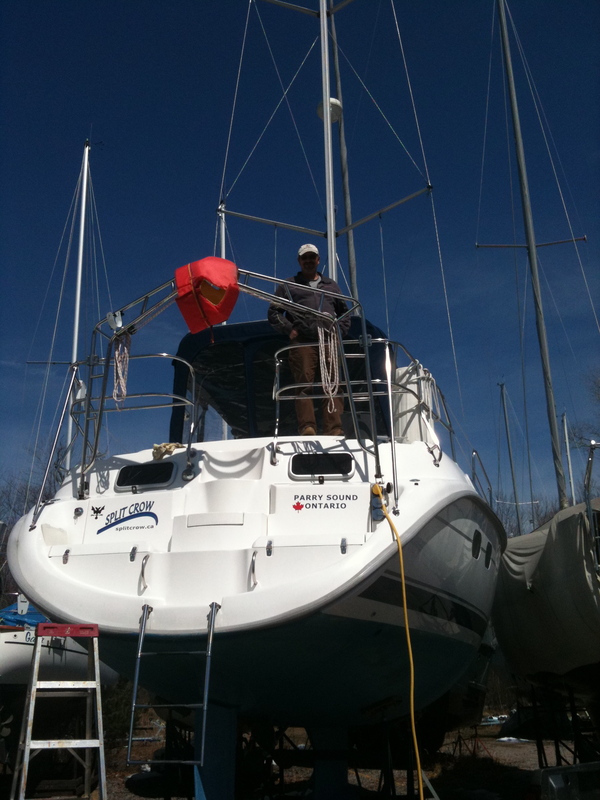 Dennis is planning on bringing the boat to Bob’s Point today and we will keep it there until June 29th. That’s when I finish work and we can start our summer vacation and the beginning of our trip out to the East coast. Staying at Killbear Marina has been great for a number of reasons. 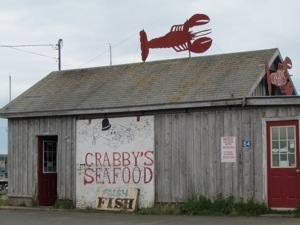 First of all, it is located on Georgian Bay, near the outskirts, so we don’t have to motor for two hours to get out of the Big Sound area in Parry Sound. 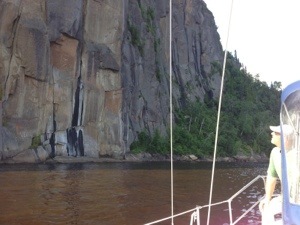 There are many great places near Killbear to sail and to anchor. For example, Regatta Bay, one of our favourite anchorages, is just around the corner. 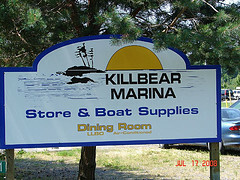 Killbear is also a full service marina and probably the best place in the Parry Sound area to launch big boats. The marina has a travel lift, grocery store, restaurant and a marine supply store so we can always get what we need without having to drive the 40 minutes into Parry Sound. We have stayed at Killbear for many years, since we first moved to Parry Sound in 1997 when we had Hetarae. The owners of the marina are Will and Ed Reichenbacher – two brothers who have taken over the operation of the marina from their father Deiter, who started the marina many years ago. Will and his wife Wendy, have two girls and Ed and his wife Sharon have a boy and girl. The kids all attended Nobel School where I taught for many years. 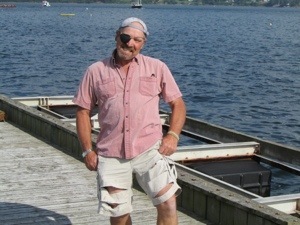 Our son Nick has also worked at Killbear since he was 15 being a dock boy and general helper in the summers. 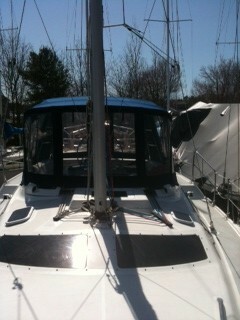 So, although we are happy to get going on our next adventure, we are sad to leave to leave the marina. However, it is time to get going on our adventure and I am counting the days until school is done! 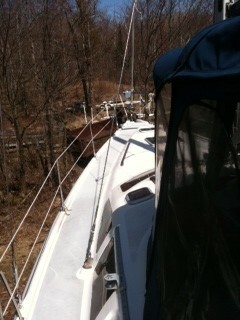 Well, the sailing season in northern Ontario is pretty short. The boat is sometimes launched on the May long weekend and if we do actually go sailing, we just about freeze to death even if it is warm on land! 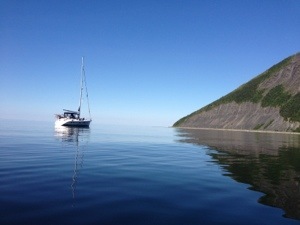 The boat is also hauled out in September, so our sailing season starts in mid June and continues on to July and August, so it is a pretty short season. 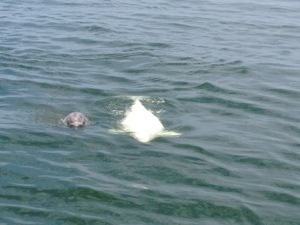 Of course I have to work from September to June, so that kind of puts a damper on sailing too. However, in a couple of years, I get to retire and then we can do whatever we want. And what we’ve been doing lately in the off season is making stuff. Dennis has discovered that turning wooden bowls is a lot of fun. He’s made quite a few and has also sold several of them too! I have been making bags – purses, tote bags, computer bags. This is a lot of fun too and we hope to sell these hand-crafted things at local craft fairs (once we make enough of them). So, we now have another website called Bowls and Bags. 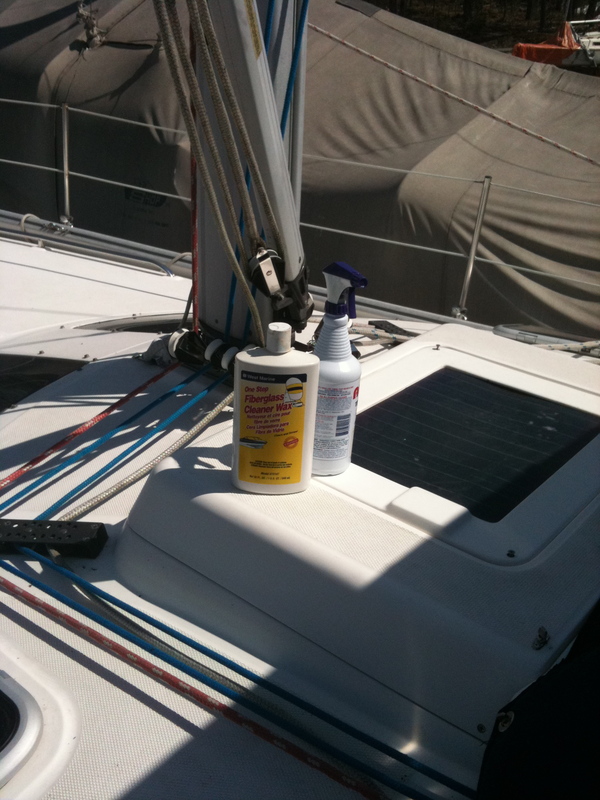 This is where we fill feature all of our things that we make in the winter when we are not sailing around. So, take a look at Bowls and Bags! We are going to the boat tomorrow to figure what to do with the table. The current table is too big. So, I bought a piece of styrofoam and we’re going to use it as our prototype. We’ll see how it goes! Well, this may be an interesting way to write on the blog. As long as we get cell service, this could be quite fun although my posts may be considerably shorter.